Police release photos of burglar who cut his way into Big Lots cash room | Crime Stoppers of the Lowcountry: 554-1111 | 1-888-CRIME-SC | Anonymous tips earn cash rewards with Crime Stoppers of the Lowcountry. SUMMERVILLE, SC (WCSC) - Police in Summerville have released several photos of a man they say cut through sheet rock into the Big Lots "cash room" during a burglary attempt early Friday. An incident report states the break-in happened a little before 2 a.m. at the store located at 1055-A Dorchester Road. Police say it appears the suspect was able to gain entrance to the store by removing screws from an access cover located just above an HVAC unit near the loading dock. Police say it appears the suspect entered through the access cover and dropped down into a room adjacent to the cash room. Investigators say the burglar cut a 18" by 18" hole and climbed through it. According to the report, the suspect pulled the filing cabinet from the wall and knocked some papers off the safe. He also appeared to remove a black bag from behind the filing cabinet, but the manager said he didn't know the bag was even there. The manager also said it appeared nothing was actually taken from the store. 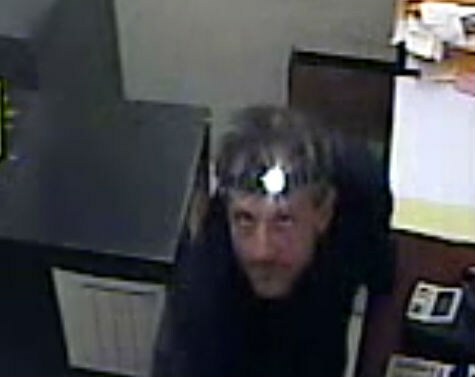 If you have any information regarding the suspect, call Summerville police at 851-4100 or Crime Stoppers at 554-1111.